REFRESCH’s introduction to Kazakhstan began with an invitation from Ambassador Kairat Umarov to address a number of challenges in Gabon in the areas of food security, distributed energy, and employment opportunities. 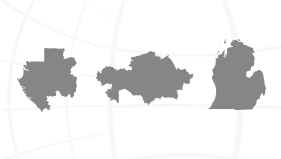 The embassy connected REFRESCH to administrators and Nazarbayev University in Astana as their main contacts. Collaborations in different areas of the country have been explored. REFRESCH main effort relating to Kazakhstan this year will be (i) a collaborative effort with Nazarbayev University to examine persistent organic pollutants and (ii) to improve upon the initial design of a fruit dryer requested by the people in Chilik. 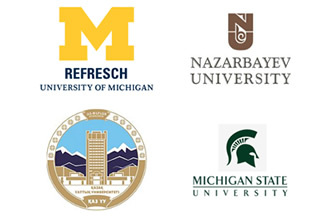 In addition, future collaborations between several institutions – the UM, Michigan State University, Nazarbayev University, and Kazakh National University – are being pursued. 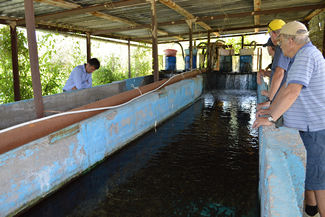 Efforts have focused on aquaculture and addressing food/energy/water-related needs at the village level. In the fall of 2014, REFRESCH hosted at the University of Michigan Dr. Kadisha Dairova, Vice President of Student Affairs and International Cooperation, and Mr. Arman Zhumazhanov, Director of the Department of International Cooperation, of Nazarbayev University as well as Mr. Nurgali Arystanov, Counselor for Political Affairs from the Embassy of the Republic of Kazakhstan. During meetings with REFRESCH faculty and high-level administrators, including Vice Provost James Holloway and Dean David Munson, the positive response from all three guests was immediate and protracted. The guests from Nazarbayev embraced the idea of collaborating with the University of Michigan at a grass-roots level, faculty-to-faculty. A multidisciplinary team of University of Michigan professors and graduate students traveled to Kazakhstan with cultural liaison and translator Marina Barnett from the Institute for Global Engagement. Marina had been introduced to the Kazakhstan group by MSU professor, Kazakhstan expert, and REFRESCH supporter Martha Olcott. The REFRESCH team’s goal in Kazakhstan was to find potential partners through which to establish a sustainable effort that would involve addressing energy/water/food challenges in a local setting. In Astana, administrators at Nazarbayev University (NU) expressed interest in working with the UM via student visits/exchanges and the incorporation of a REFRESCH project into a senior undergraduate capstone project. In a village outside Almaty, the REFRESCH team met with a dynamic principal of a K-11 school who identified significant food/energy/water needs in her village and school that aligned with the type of problems that REFRESCH might be able to address with the local people. About 20 miles down the road, the REFRESCH team met with the owner of Chilik Fisheries, who was interested in working with REFRESCH to both determine how renewable energy inputs could allow his business to grow and to see how he could help educate local people about aquaculture. 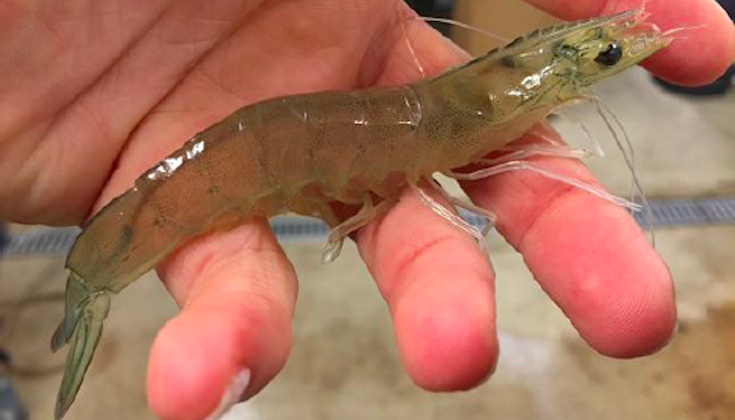 The owner of Chilik Fish Farm came to Michigan in April 2015 on a mission to learn more about recirculating aquaculture and raising fingerlings of pike perch, a species closely related to North America's walleye. He learned about local techniques of fish farming through visits to Indian Brook Fish Farm, the Aquaculture Research Corporation, and Michigan DNR’s Wolf Lake Hatchery. He discussed renewable energy options with REFRESCH roundtable member Jean Redfield at Detroit’s Next Energy. Following that, he traveled to the University of Wisconsin’s Fresh Water Science Institute to meet Fred Binkowski, an expert on sturgeon and yellow perch. The trip wrapped up with his attendance at an aquaponics workshop at Growing Power in Milwaukee, along with three REFRESCH graduate students. This laid the groundwork for continuing collaboration on how to restock depleting populations of pike perch in Kazakh waterways. A nine-member REFRESCH team traveled to Kazakhstan to both deepen relationships and investigate the potential for new collaborations. 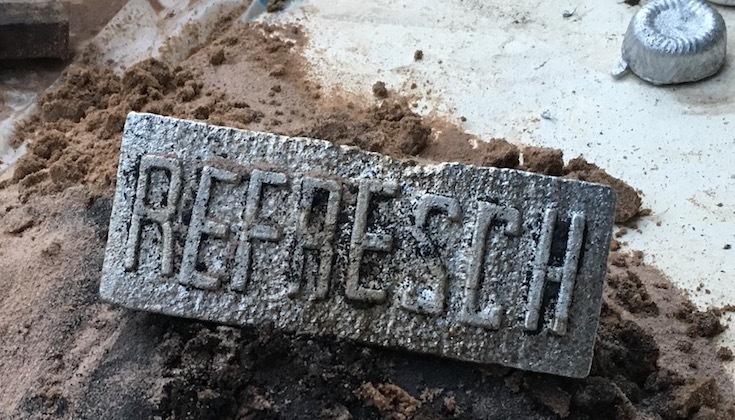 The most significant grassroots activities involved REFRESCH's two connections in Chilik. A day was spent evaluating the potential of Chilik Fish Farm for raising significant numbers of pike perch fingerlings to restock depleted waterways of this commercially valuable fish. 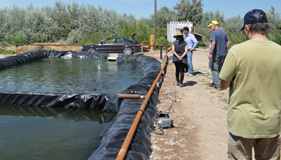 The next day featured a workshop involving faculty and students from Kazakh National University, the national fishery lab, members of the national fisheries committee, and employees of the fish farm. Local fish scientists and an expert from the Michigan DNR discussed current practices in raising pike perch and walleye in Kazakhstan and in Michigan, respectively. While these activities where happening, at the local school another group from REFRESCH held multiple meetings with a total of thirty people. The purpose was to get a broader picture of the challenges that the villagers face in the areas of energy, water, and food security and to formulate potential technological solutions that could address these needs. In Astana and Almaty, meetings were held with two other national laboratories, USAID, and three Kazakh universities. Though no trips between Kazakhstan and the US occurred during the 2016-2017 school year, interactions with Nazarbayev University and efforts to address concerns in Chilik continued. Unfortunately, severe devaluation of the tenge and the seasonal need for educated employees has hampered plans for educational exchange on the pike perch project, but efforts at getting funding for further work have continued. On the other hand, collaboration with Nazarbayev University (NU) has continued. Through Skype and email, Mohit Nahata, a graduate student at the UM, tutored a senior design team at NU on how to utilize the modeling software called HOMER as a decision-making tool for choosing the optimal type of energy source for a given location and application. In addition, to address village-level needs in Chilik, two senior engineering design teams at the UM tackled the needs for (i) a sustainable design for a fruit dryer and (ii) reliable crop irrigation. Learn more about senior design projects. Following up on previous efforts decades earlier, research scientist Dr. Sergei Chernyak traveled to Astana to work with Nazarbayev University (NU) on an investigation of the presence of persistent organic pollutants in several Kazakh waterways, commercially available food, and drinking water. The intent was to continue to build faculty-to-faculty relationships and also potentially teach some students at Nazarbayev University about this type of research. An invitation was offered to have a NU student come to the University of Michigan to aid with research analysis. This research crosses the areas of food, water, AND health, education and the environment. The latter three subjects are areas that REFRESCH is finding to be closely-tied to working within the food, energy, water nexus.